Radio has a long history at Kettering University. In the early 1970s an unlicensed “carrier current” radio station operated with the call letters “KRIB”. The station was managed by GMI student Lewis Middaugh and Friday late-evening DJ, the late Johnnie Heiman (Dr. J). “Dr. J” moved from an Indiana nut farm to the “big city” Flint when he attended GMI. KRIB helped start him off on a very successful radio career until his death in a farming accident. KRIB was ahead of its time in the radio world. The Glett-Albanese wind-down hour, a Friday evening regular show, was one of the first “dueling DJ” spots in the nation. The show had a dedicated following and this broadcasting technique caught on across the nation. This continued until in the early 1980s, when the current student media club was formed, calling itself WGMI. The WGMI AM broadcasts were only available in the dorms, which meant that WGMI did not require any government licensing. The station, however, declined as AM broadcasts lost popularity. By 1997 there were no more broadcasts from WGMI AM 530. Despite this, there was still enough student interest to keep the radio media group alive. When GMI became Kettering University in 1998, the club updated its name to WKUS (Kettering University Station), and interest in a more official radio broadcast grew. Believing that Kettering should have a radio station due to its inevitable positive impacts on the university, WKUS made it one of their main goals to bring such a broadcast to campus. In effort to prepare for a radio station, a small broadcast booth was created in BJ’s Lounge, and students began to pursue official licensing. Low-power FM was introduced to the public for the first time by the Federal Communications Commission (FCC) in January 2000. Club presidents Cortny Robison and Noelle Surprenant played an important role in filing the original FCC application in September 2000 for an LPFM building permit at a broadcast frequency of 96.7 MHz. The application, however, was held up because of a frequency adjacency issue with existing radio stations. Without a clear opportunity to amend the application, hopes for an FM radio station were put in limbo. In order to sustain itself as a student media organization while it awaited the FCC’s response, WKUS reinvented itself as a student DJ service. The club promoted itself by instituting a regular Friday DJ Lunch Hour in the Great Court of Kettering’s Campus Center. In addition, the club provided DJ services for student organization activities, orientation weekends, homecoming week, Greek open parties, and philanthropy events. WKUS also achieved campus recognition by regularly hosting open mic nights and an annual battle-of-the-bands. A benefit concert for the FM effort was even held at the Flint Local 432. The club operated this way for about two years, while this adjacency issue remained unchanged. Eventually, the FCC allowed the station the opportunity to amend the application and then-president Steven Proper took charge of filing the corrected application and preparing for possibility of being awarded a permit-to-build. With the time lapse from the original application, the university’s official stance on the project had become unclear and so the club officers set to work on creating a proposal to secure the university’s support. Foremost at the club’s priorities was creating a contingency plan to raise approximately $50,000 for the construction of the tower and broadcast equipment. Work intensified when the club received notice that the FCC reviewed the amended application and had granted the university a permit-to-build. Faced with a fast approaching deadline, the student officers worked closely with Diane Vyvyan, the club’s advisor, and a steering committee to secure station space, design the broadcasting rig, and create an entirely new infrastructure for the club. After many presentations and meetings with the university’s leadership, the station was generously supported financially by Dr. Patrick Deese, the Dean of Student Affairs, and the Kettering Student Government (KSG). The station’s construction was finished just before the deadline specified by the permit-to-build. The most visible portion of the station, the antenna tower, was erected on November 14, 2004 behind the Academic Building (original plans called for the antenna to be located on a lamp post in the athletic fields or on top of the campus center). As the station applied for an official call sign from the FCC, it was discovered that the letters WKUS, which had been associated with the LPFM effort were unavailable. 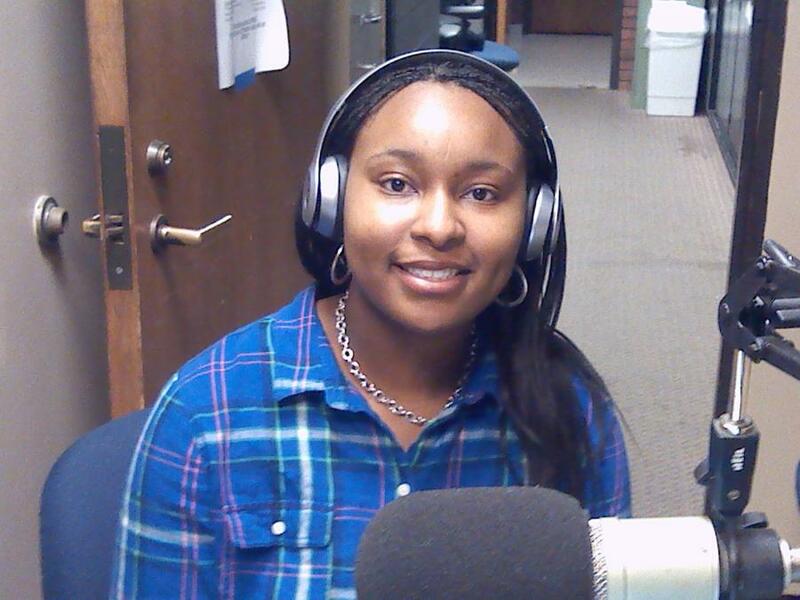 The station leadership decided to instead apply for WKUF, which they envisioned standing for “Kettering University and Flint”, suggesting the station’s mission to be a voice for both the university and the Flint community. The “LP” suffix denotes the low power nature of the station. The selection and acquisition of broadcast equipment was overseen by David Blankenship, the club’s vice-president (station engineer) and Dr. James McLaughlin from Kettering’s Electrical Engineering department designed the station’s antenna. Because of the time constraints surrounding the station’s construction, the University hired a dedicated co-op student, Alan Delos Santos, to work on the station. On November 19, 2004 at 12:30 PM, WKUF-LP officially kicked off its broadcast with then-president Scott Porter giving a speech over the airwaves. As the speech was being read in the broadcast studio, a radio receiver was set up in the Great Court for all to hear. Steve Proper, who had originally prepared for the creation of the station, spoke as did Melverne Mills Jr., the Program Director and Steve Schwartz. Finally, Alan Delos Santos introducing the first official song broadcast by the station, “Video Killed the Radio Star” by The Buggles (a reference to the inaugural broadcast of MTV). WKUF-LP inaugural broadcast:—Good Afternoon. You are listening to the very first broadcast of WKUF-LP 94.3 Flint from the campus of Kettering University. My name is Scott Porter, I’m the student Station Manager for WKUF and it is my pleasure to present Kettering University and the Flint community with a new radio voice – our radio voice. Kettering, Flint, this is your station. For everyone involved with the Low Power FM Radio Effort, the construction of this station has been simply unreal: It is not often that a vision becomes a reality, but today’s broadcast shows that dreams do come true. We are so thankful for this opportunity and feel privileged to be a part of this project. This is such an exciting day for us!Making it to this point has not been easy – it’s taken four years and the efforts of many individuals to reach this goal. We would have never made it this far without the support of those who believed in this vision and made contributed the project. I want publicly recognized those who helped out with this project. The station would like to thank: Dr. James John, the University President, who supported us throughout this endeavor. Dr. Patrick Deese believed in the LPFM Station and he drove this project from concept to reality. Dr. Deese gave the station both much-needed advice and financial resources – Dr. Deese was instrumental to the success of this project – we could not have done this without him. Thank you Dr. Deese! Kettering Student Government generously supported the station’s startup finances – without their support this station would have never happened. KSG joined us in this vision – they empowered us to create change here at Kettering. Thank you KSG! Diane Vyvyan, our Coordinator for Student Media, has gone above and beyond in supporting this effort and without her, this station would not be here today. Diane has been there for us every step of the way – Thank you Diane! Dr. McLaughlin from the ECE department made an outstanding contribution by planning the tower construction and designing our antenna. We are indebted to Dr. McLaughlin for the superior quality of work and expertise he brought to the project! Thank you Dr. McLaughlin! The LPFM Advisory Committee has helped tremendously with the planning and organization of the station. The members all take time from their busy schedules to support WKUF. We appreciate this. Thank you Advisory Committee! Lisa Phillips from the Cooperative Education Department. Lisa’s support of the station and her constant encouragement have helped us reach this goal. Thank you Lisa! The Flint Local 432 hosted a special LPFM benefit concert for us last spring. Having the support of the Local has been a motivator for us to reach this goal. Thank you Flint Local 432. And lastly, but certainly not in anyway the least, I would like to extend a wholehearted thank you to the student staff of WKUF. What these students have done has been incredible and I am extremely proud of the work that they have done. I look up to each and every one of these individuals with the greatest respect for the work that they have done. WKUF Members, thank you!And thank you listeners! We feel privileged to be your new local FM station!